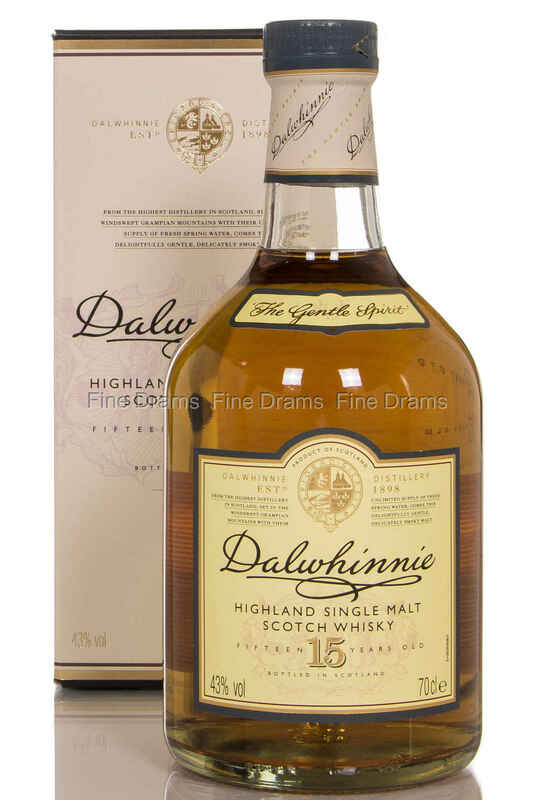 Dalwhinnie 15 is a great introduction to the rich Highland style, and at 15 years of age this is an easy going, medium-bodied, light and fruity single malt. A perfect beginner single malt, which makes it clear why it is part of Diageo’s Classic Malt range. Nose: Malt, toffee, aromatic herbs and honeysuckle. Fruit: mango, apples and pears. Slight smoke. Palate: Apples and pears. Malt and heather honey. Gentle smoke. Walnuts, allspice and light oak. Finish: Malt, honey, toffee and flowers. Overall: It certainly lives up to its billing as "the gentle spirit". Clean, crisp simple flavours. An ideal daily drinker.